Have You Ever Been Told You Have Piriformis Syndrome? The Link Between Back Pain and Chronic Fatigue Syndrome. 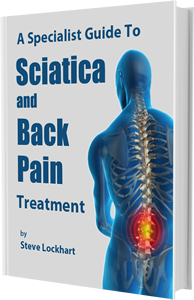 Back Pain and Sciatica – Why What You Eat Matters. Stretching Exercises for Back Pain & Sciatica – Are They Causing You Long Term Damage? Easy Ways to do Back Pain Exercises. Back Pain – the Importance of Posture.